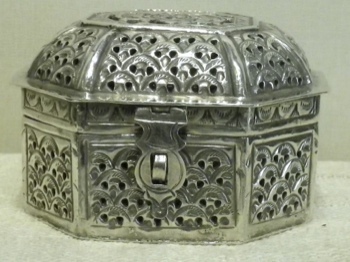 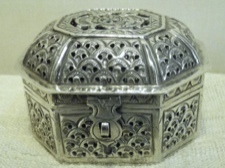 We are lucky to have as part of our gallery collection this beautifully made sterling silver ornately etched box that is in excellent condition. 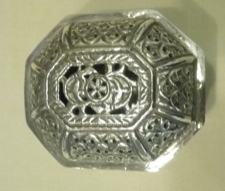 This box stands 2.25 inches tall and is in a long octagon shape measuring 3.5 inches across. 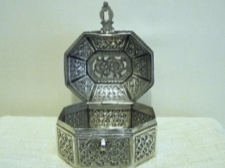 It is a fine example of traditional silversmithing from India which methods have been passed down for generations.